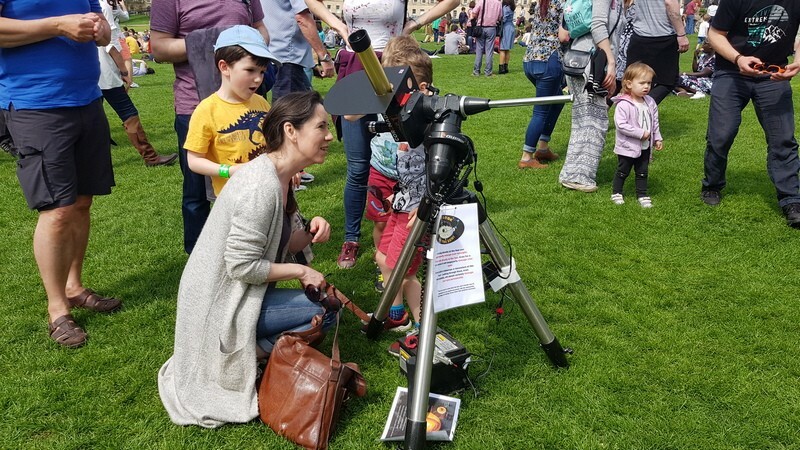 Organised by: Bath Preservation Trust and volunteers from BPT, Wiltshire Astronomical Society and the William Herschel Society. From 10:30 until 17:00 (subject to weather), there will be one or more solar telescopes at 19 New King Street. Solar telescopes will be set up in the garden of 19 New King Street so that visitors during the day to the Museum will get the opportunity to safely look at the upper layers of the Sun and the activity upon it that day. An Amateur Astronomer will be on hand to guide you and inform you about the brightest thing in your sky. Observing is covered in the cost of admission to the Museum. WHS members get in for free.